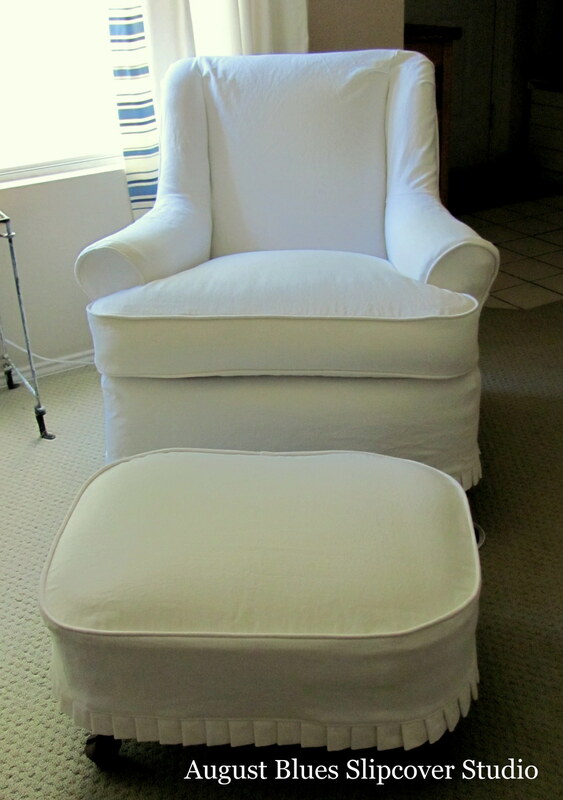 So, all that to say, when I get a chance to make a white slipcover for someone else, it's very enjoyable! 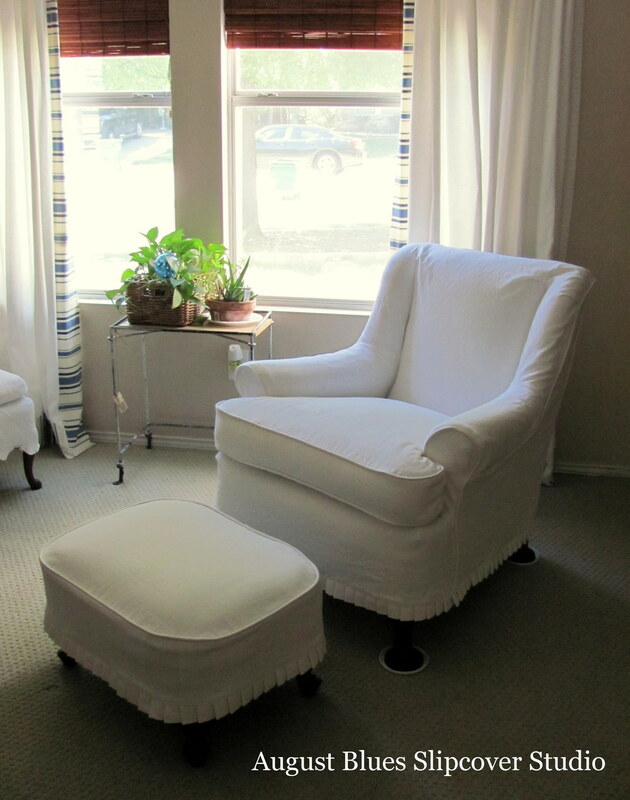 The fabric is white cotton denim from Hobby Lobby (don't forget to use your 40% off coupon if you go, or watch their sales for 50% off deals! ); it had a soft, comfortable feel and was nice to work with (and it was pre-washed, of course). 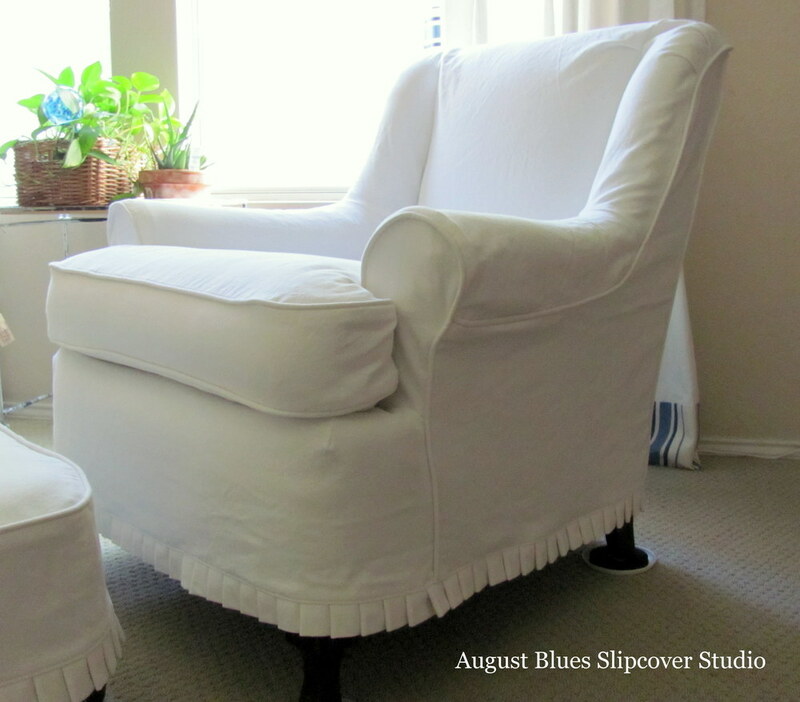 So, do you (or would you) have white slipcovers in your house?